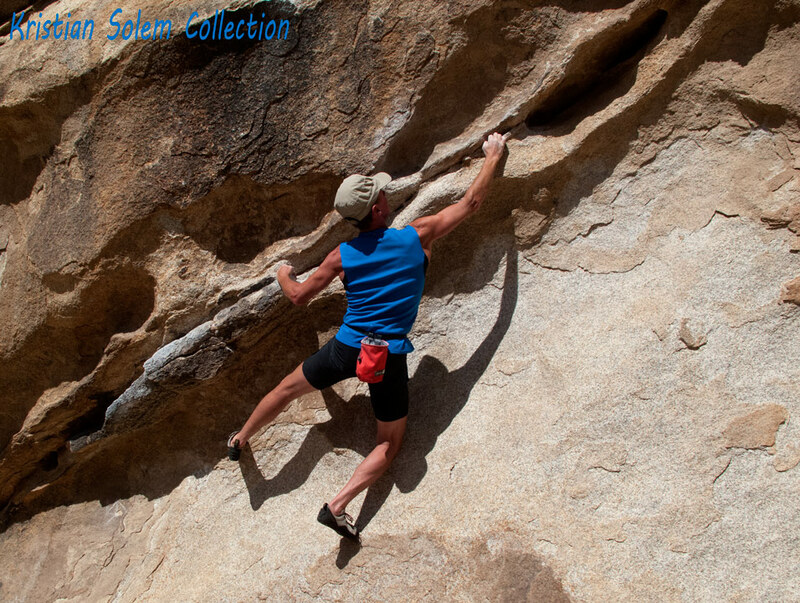 Rock climbing can create and amplify imbalances in the body. 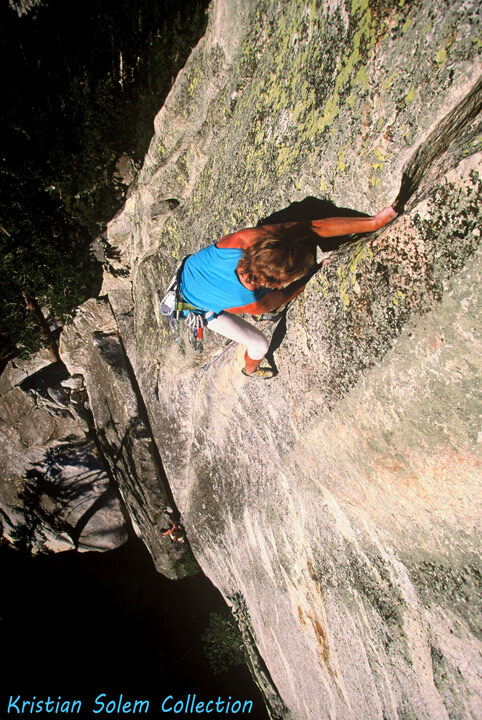 Climbers spend a lot of time reaching overhead, gripping fiercely and pulling hard. Often this is in situations where fear of falling drives the climber’s brain to over-ride signals from the fingers, hands, arms and shoulders which would cause a person in normal circumstances to let go and rest. Many climbers say that climbing is the best training for climbing – and there is some truth to that – but there comes a time when most serious climbers need to add some opposition work into their routine to keep their physique in balance and avoid injury. Here’s a little test: Let your arms hang naturally at your sides. Hold a ruler, short stick or pencil in each hand (parallel to the floor.) Walk around a little and stop. Where are the sticks pointing? Sticks which point inward indicate a shoulder posture called internal rotation which is common among climbers. If this is you, rotate your arms externally from your shoulders until the sticks point straight ahead. Unwind your upper body a bit as you stand taller, opening your chest and drawing your shoulder blades together and down on your back. Stand in a doorway and reach up, grabbing the top of the frame as if it were a handhold. Notice that your palm faces forward, the back of your hand to the rear. Again, this is internal rotation of the shoulder. If you lower your arms to your side and walk with your shoulders in the same position, your palms will now face to the rear. Climbers who have developed this habit need to work to strengthen the stabilizers of the shoulder blade to keep the shoulders down and back to avoid future problems with this unstable joint. Simply being aware, and making it a habit to keep your palms facing your sides when standing and walking around can be a big step in the right direction. So for the climber, Why Pilates? 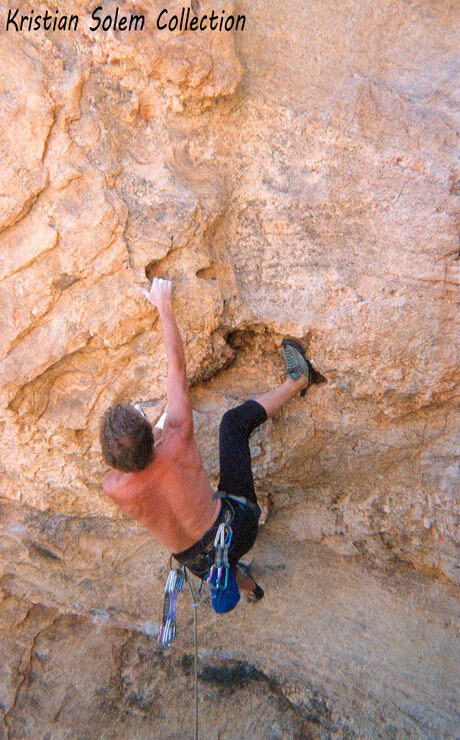 In 2004 I tore apart my right shoulder while climbing. The following picture was taken one week before this injury. Looking at this picture today I see a weak and unsupported right shoulder. I have deltoids, but the back muscles which support the shoulder blade are thin as paper. I was 51 and knew little to nothing about training, I just climbed a lot. Bad news. Surgery and 6 months of rehab were the result. …I use lots of specific exercises – direct training for the sport. But strong fingers and hands are tools which will be deployed most effectively by a balanced, functionally strong, and mentally connected body. Pilates exercises help build a solid base of strength and awareness, which will help the climber train and climb with less chance of injury, and give him or her the physical confidence to keep climbing at a satisfying level as they age. In Pilates we learn to perform difficult series’ of movements with control and precision, often while our balance is being challenged. We learn to visualize a movement and then create that movement exactly as we see it in our mind. For climbers visualization is a powerful tool, and a key to success on hard climbs. In Pilates we visualize as we move to improve the “mind-body connection”. This helps us achieve quality movement even under extreme physical stress. One of the fundamentals of Pilates is that all movement comes from the center of the body: the core or “powerhouse.” The exercises will earn you rock solid stability in your center which will bring you exceptional strength and control in awkward, out of balance and reachy positions. This support from the core will also stabilize your shoulders and hips and support your back, areas which are vulnerable to injury from the stresses of climbing.